It's Wednesday and you know what that means. 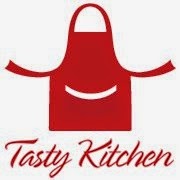 Miss Sophie is sharing another fabulous recipe along with my photos! Take it away, Miss Sophie! 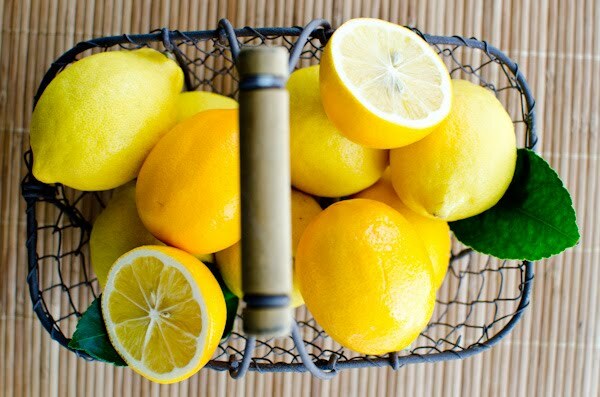 "There are very few fruits that are used as extensively in the kitchen as the lemon. From the glass to the dessert and everything in between, the lemon knows no boundaries as it flows seamlessly through our meal....." to read more, click here! Chilled dough log is sliced and dipped in granulated sugar. Can you see the difference between Meyer and Eureka Lemons? 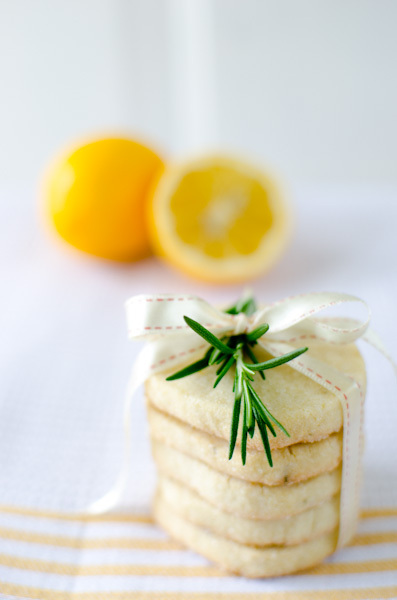 Fragrant Meyer lemon and rosemary cookies are just perfectly scrumptious! Cream butter and sugar until light and fluffy. Add the egg and vanilla, mix until blended. Add the rosemary, lemon zest salt and flour and mix well. Divide dough in half and shape into log. Roll logs up in wax paper about 1 ½ inch in diameter. Chill for at least 1 hour. Preheat oven to 375 F. Cut logs into ¼ inch slices, roll in sugar and place on parchment covered baking sheet. Bake for 12-15 minutes or until the edges are pale brown. Love Meyer lemons & these cookies look delish! Kay, these look AWESOME! What a great gift to tuck in a basket with some fresh lemons and sprigs of Rosemary. Thanks for sharing! Kay, why didn't I know about this recipe in the fall when I had both Meyer lemons and rosemary in our garden? Look forward to making them! YUM these are perfect for summer being just around the corner. i wanna make these asap.. i love lemon. These look beautiful! I love Meyer lemons. I just picked some up at the store and made lemon curd myself. I'm putting them on my to-make list, which is rare since I don't usually jump for baked goods. yum!! Your photos are stunning! I need to get some Meyer lemons ASAP! Wow! Beautiful, beautiful photos. I mean food magazine beautiful. Yes, lemon is my chocolate. The cookies are equally lovely. 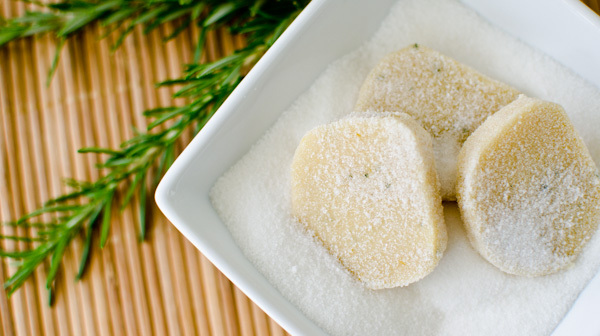 I love the combo of savory rosemary with this shortbread. I'm so bookmarking these. First up, those pictures are positively stunning! Second, those cookies... oh those cookies. I think I could eat lemon in all forms every day all day. Those cookies would most certainly be on the menu. So delicious! 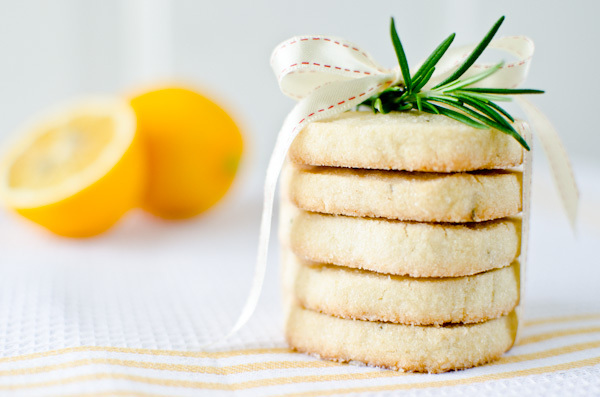 I have lemons and fresh rosemary in my garden…I think I found a new cookie project. These look wonderful! I am slowly experimenting with different herbs in shortbreads and tea breads ... this looks like a 'next project' cookie! I don't know that I can find Meyer lemons, though. These cookies look so delightful and unique with the addition of rosemary.